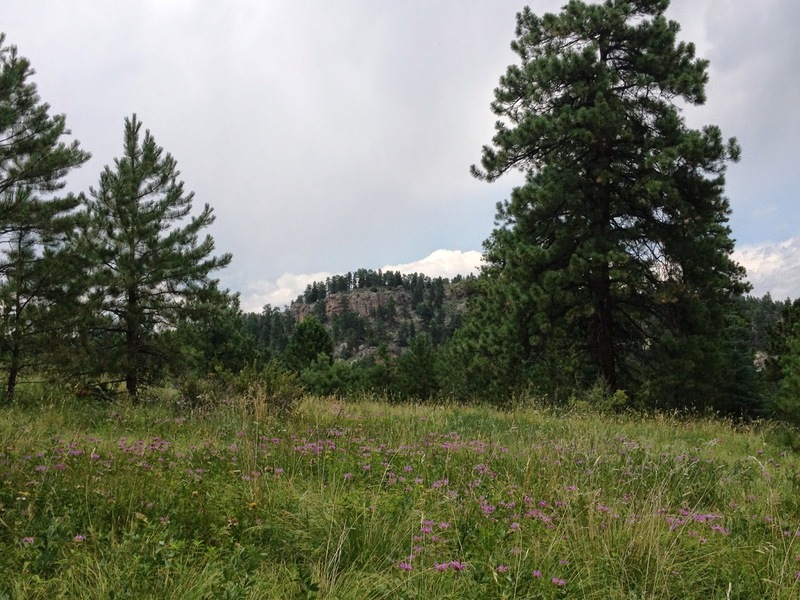 Directions: From downtown Evergreen, take 73 south and turn right (west) on Buffalo Park Rd. 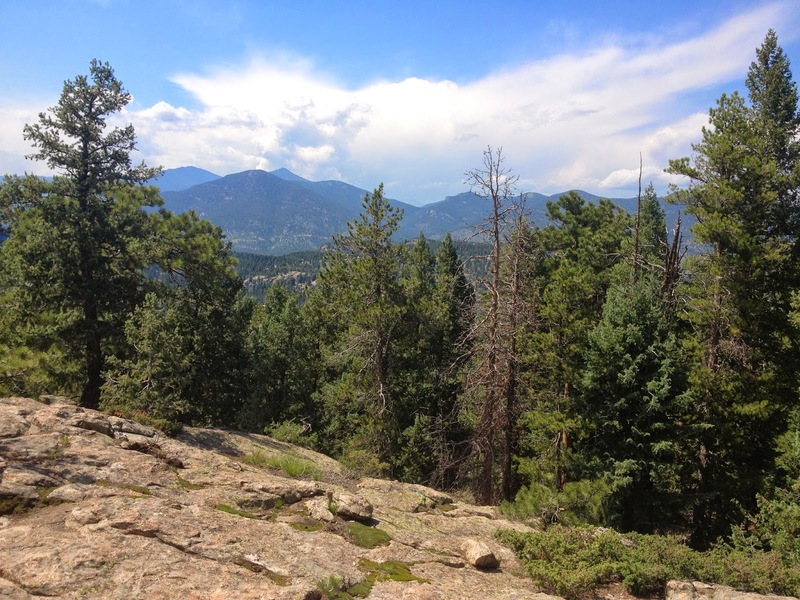 Follow Buffalo Park Road until you see the parking lot on the right. 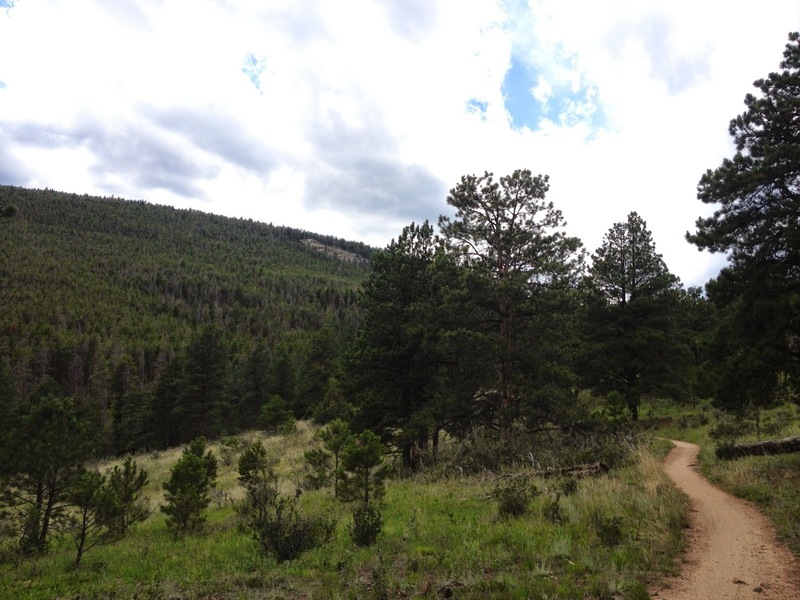 Cross the street to the East Evergreen Mountain Trailhead. 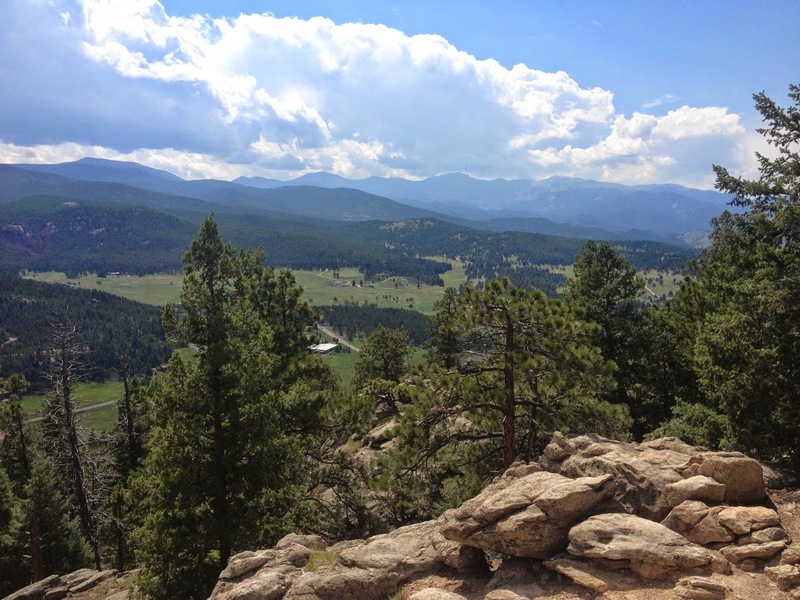 The hike up to Evergreen Mountain is the longest hike in the park and has the most elevation gain. 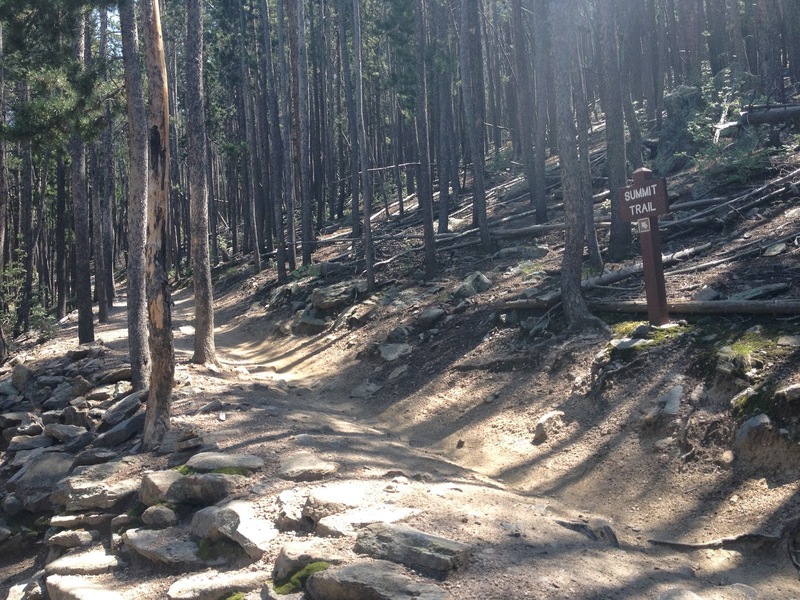 That being said it is a relatively easy trail. 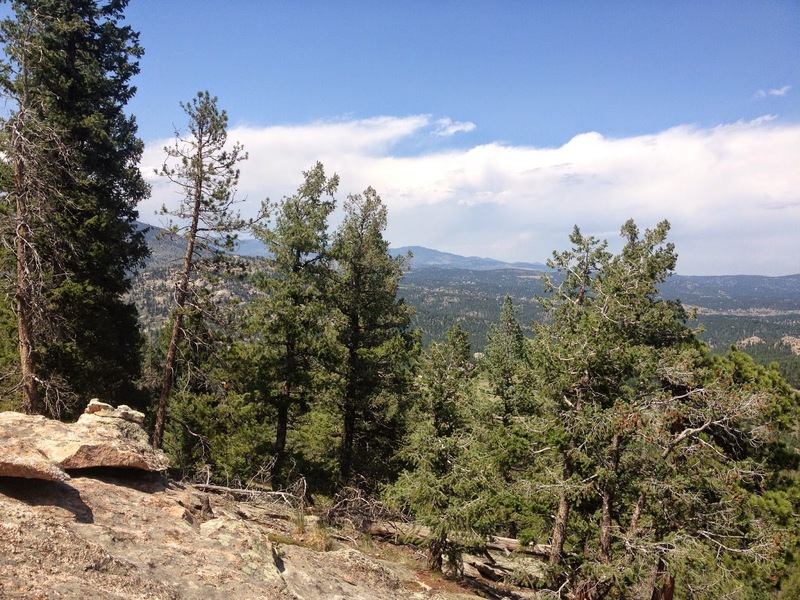 The trail has a very moderate grade while still being exciting and fun to hike. 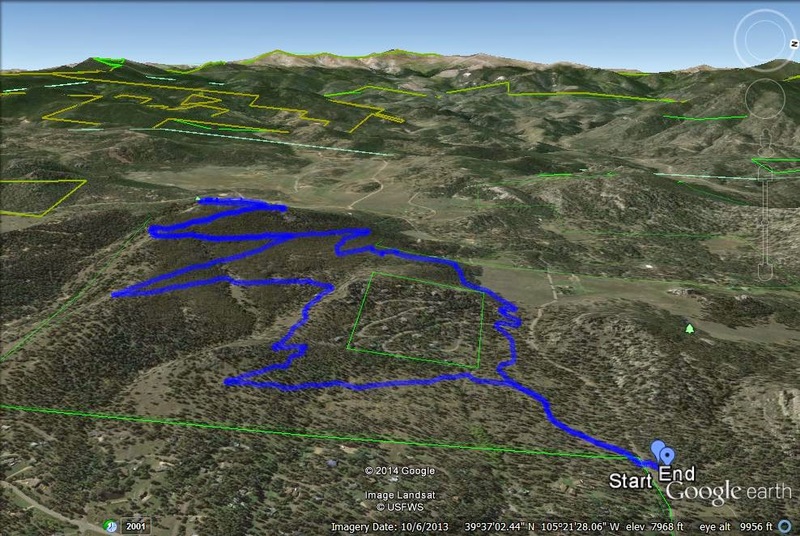 I suggest starting the loop from the East Evergreen Trail and descending via the West Evergreen Trail, this minimizes the uphill at the end of the hike. 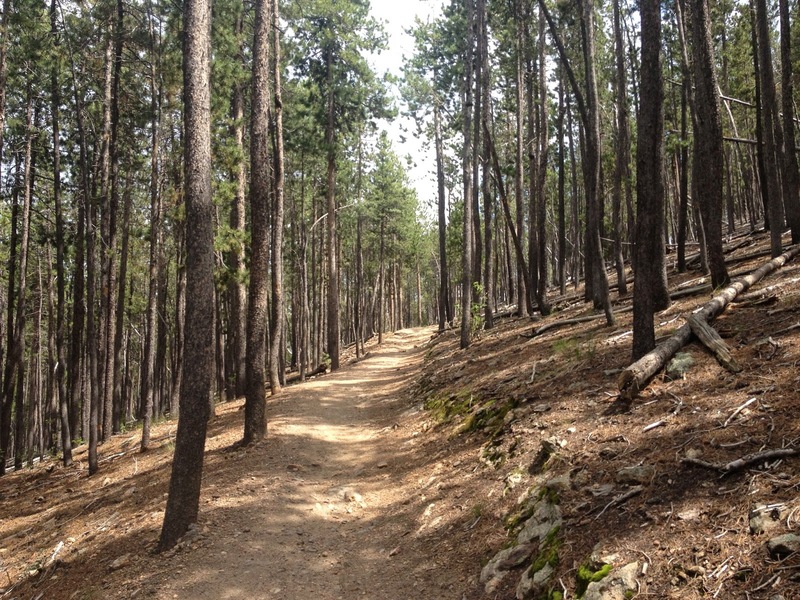 The trail is easy to follow, take the E. Evergreen Mt. 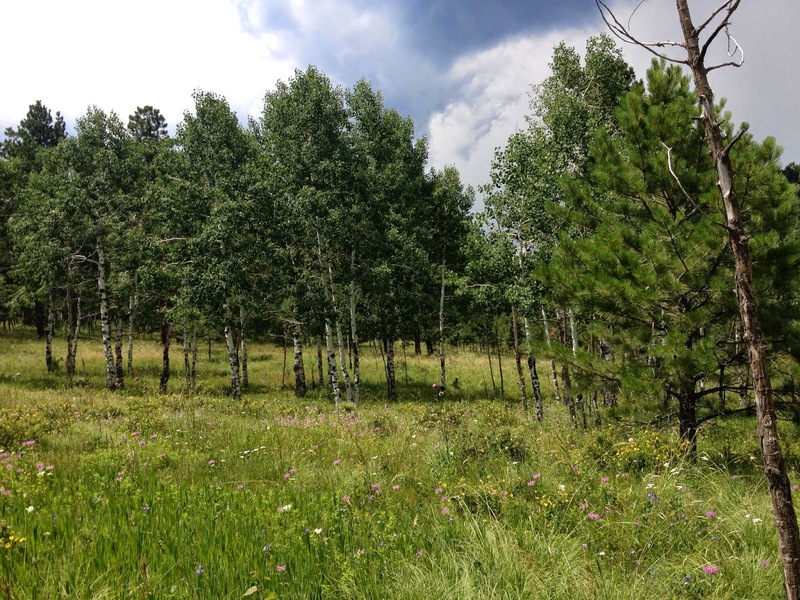 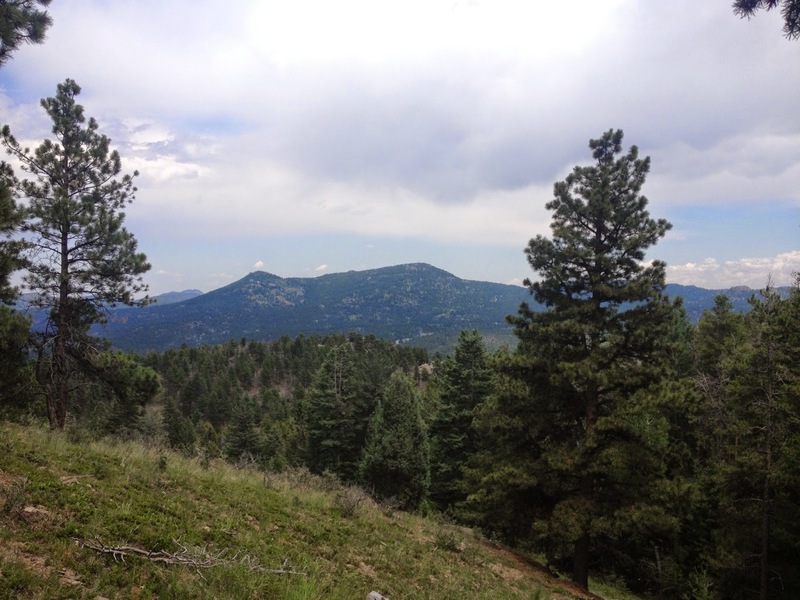 trail through evergreen forests and open meadows to the junction with the Summit Trail. 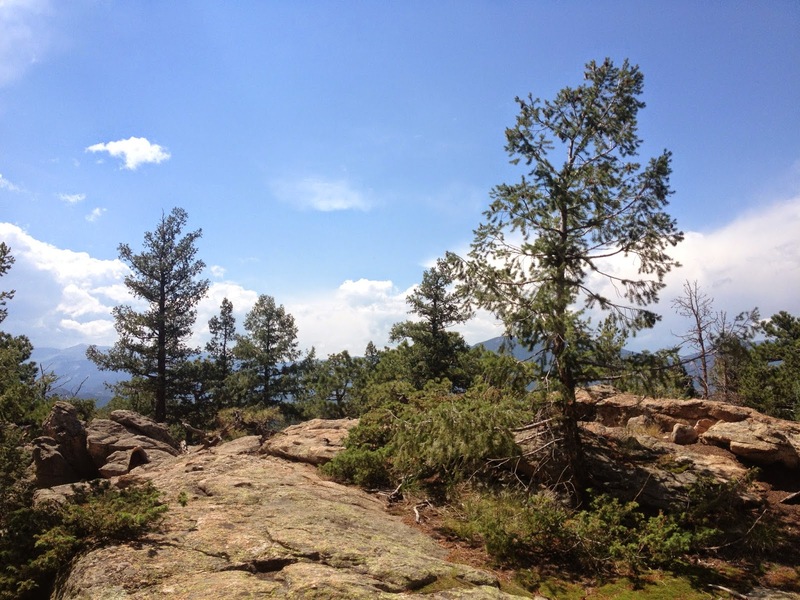 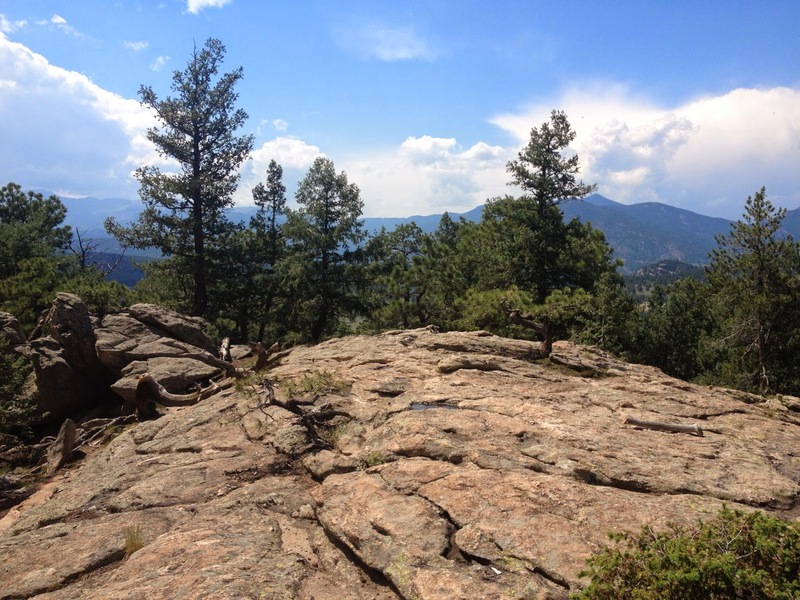 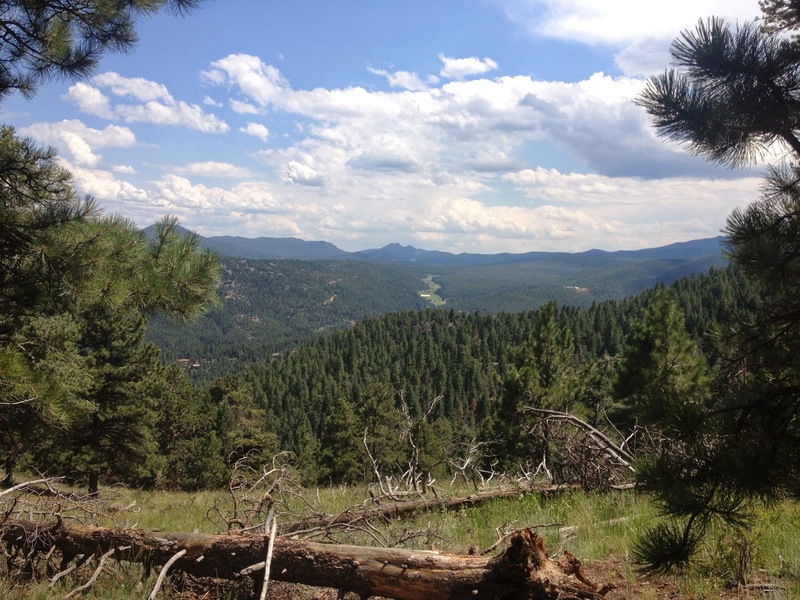 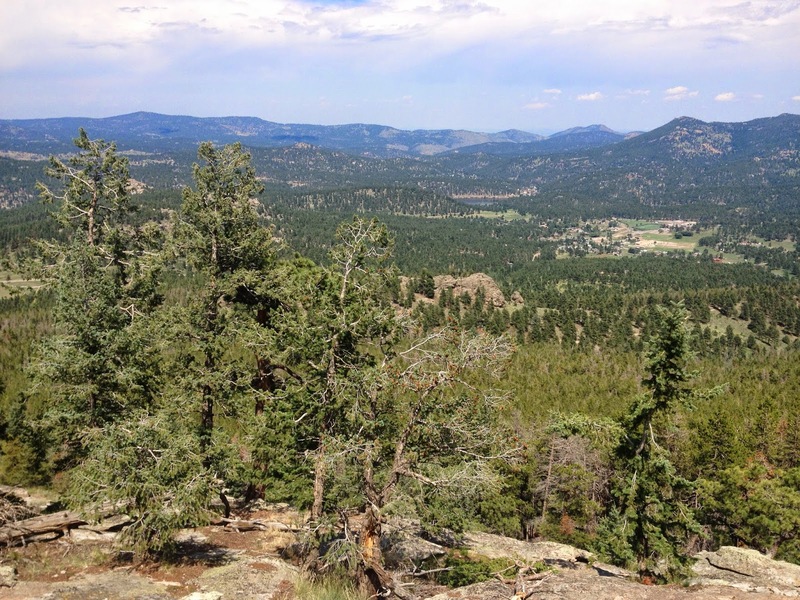 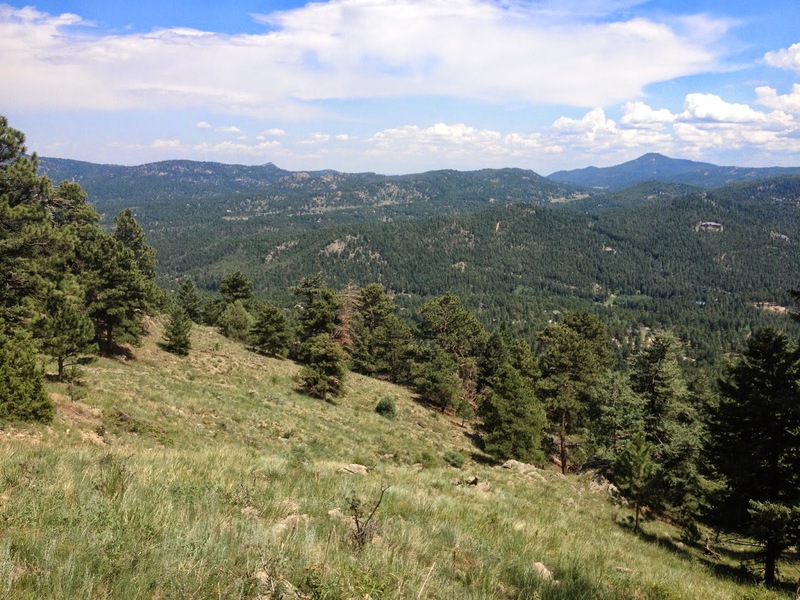 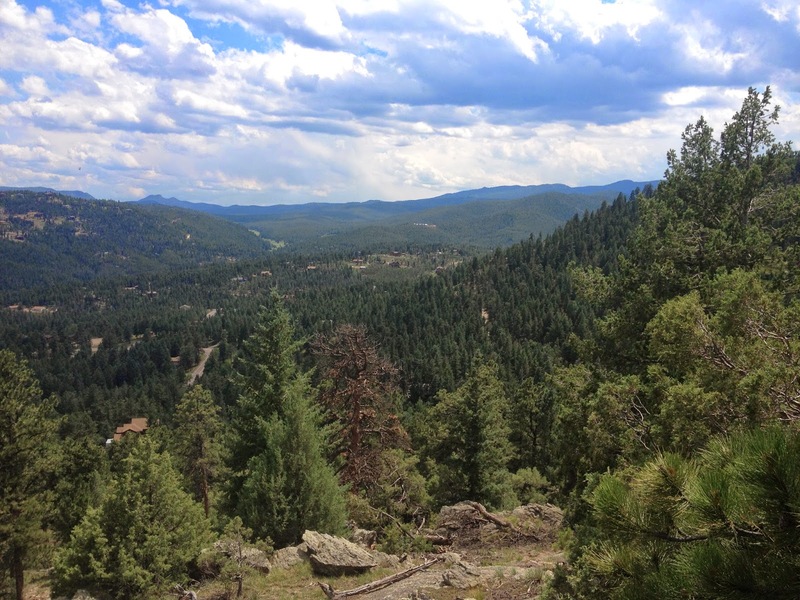 Once on the Summit Trail, be sure to take the short detour on the Scenic View Trail to get some great views of Evergreen and the foothills. 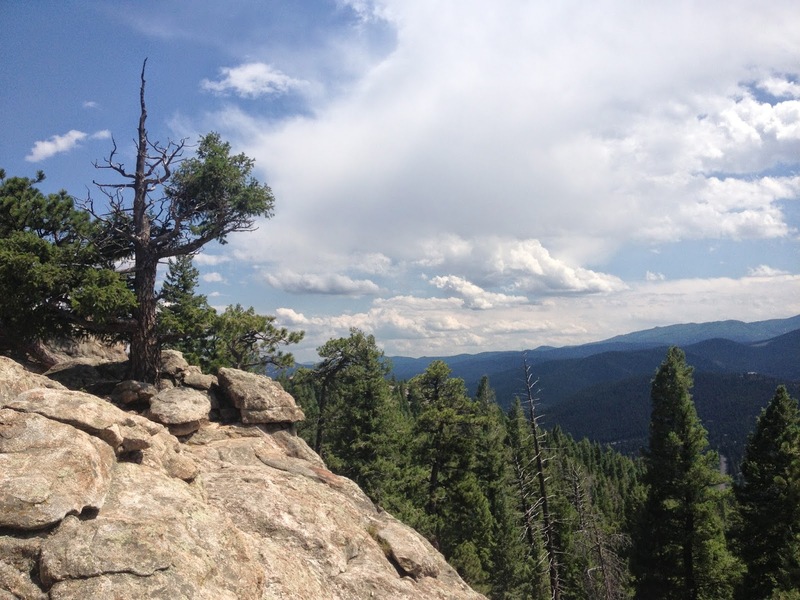 Continue on to the summit at 8,536ft. 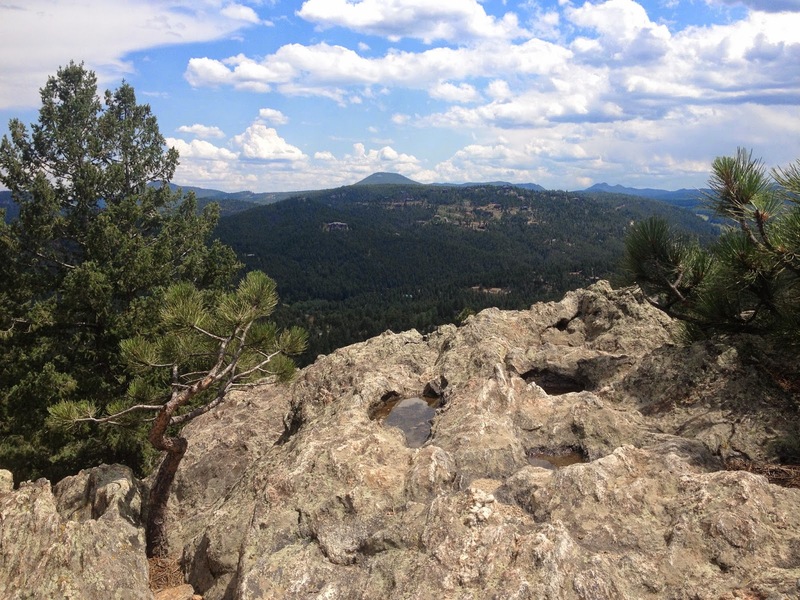 There are various rock outcroppings that offer views in every direction with a great view of Mt. 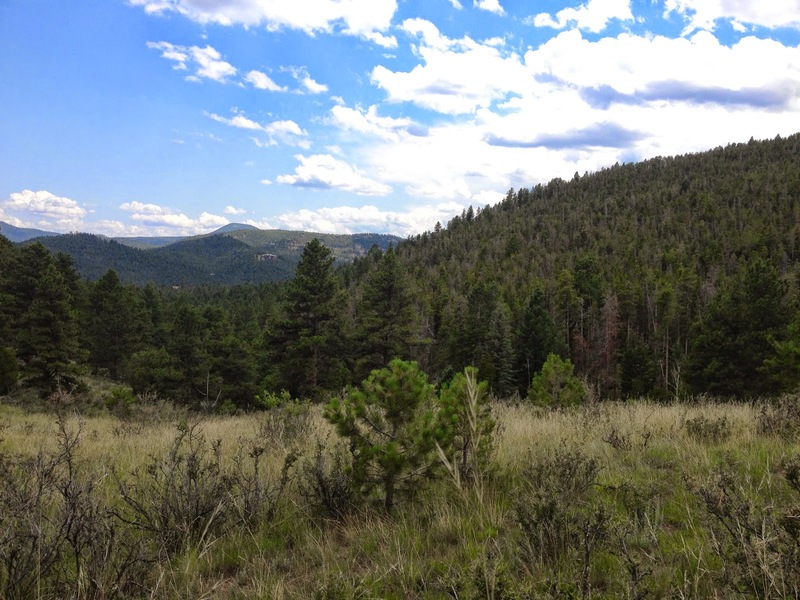 Evans on a clear day. 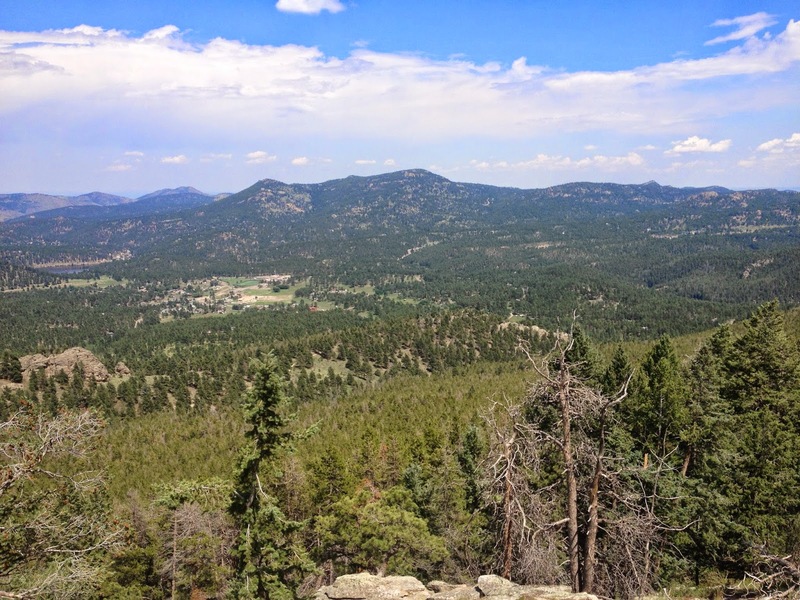 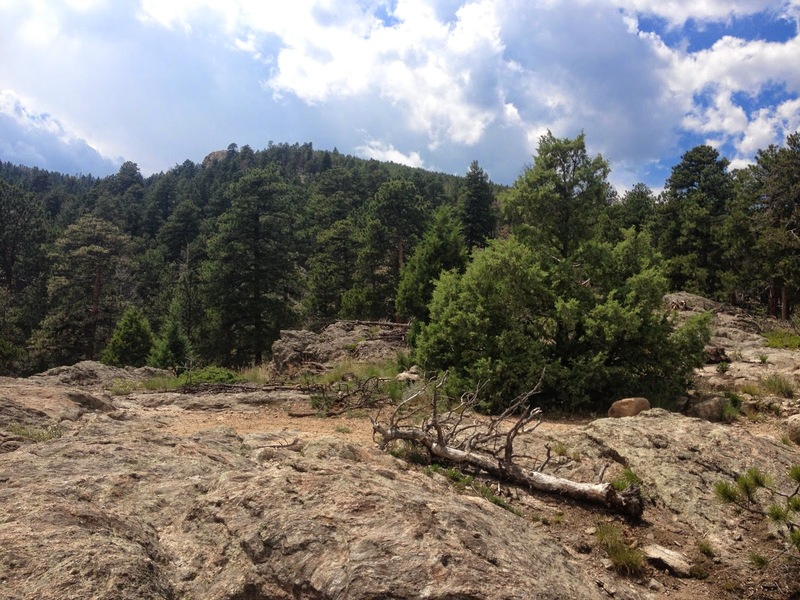 On your way down, make a left at the trail junction and follow the West Evergreen Mountain Trail back down to Buffalo Park Road. 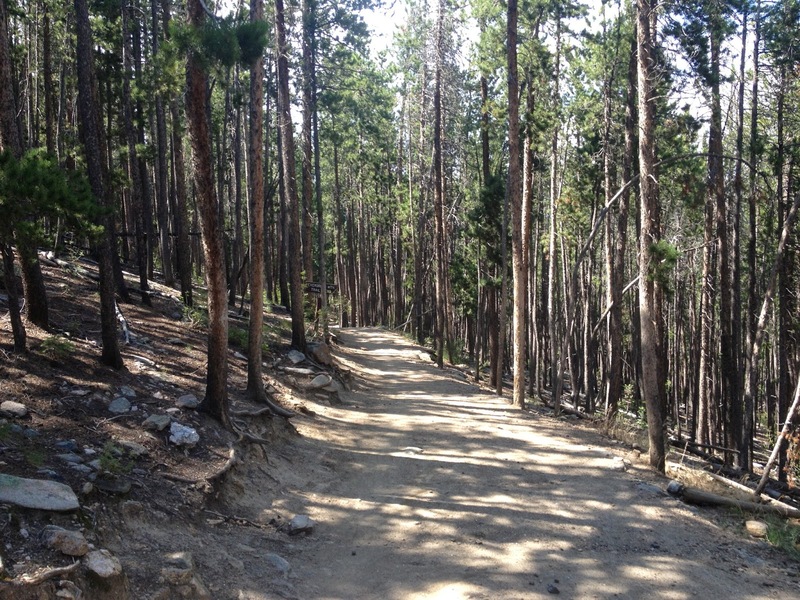 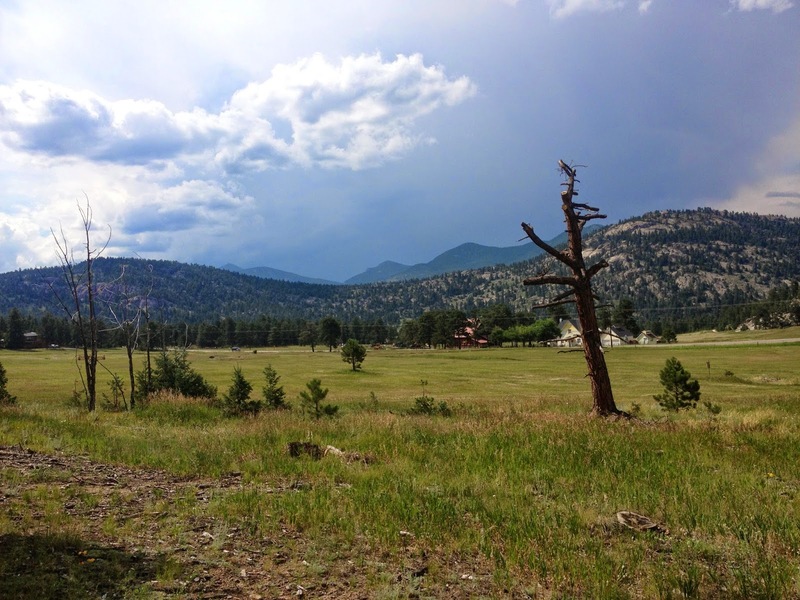 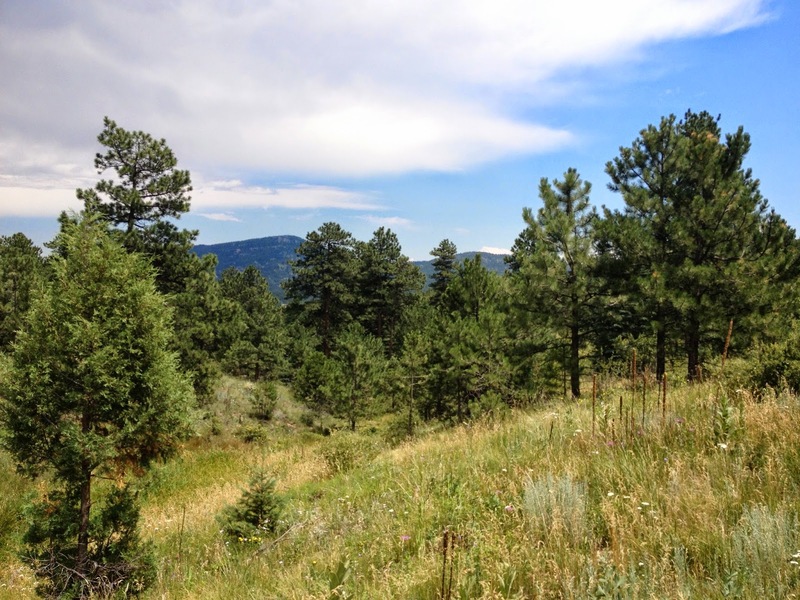 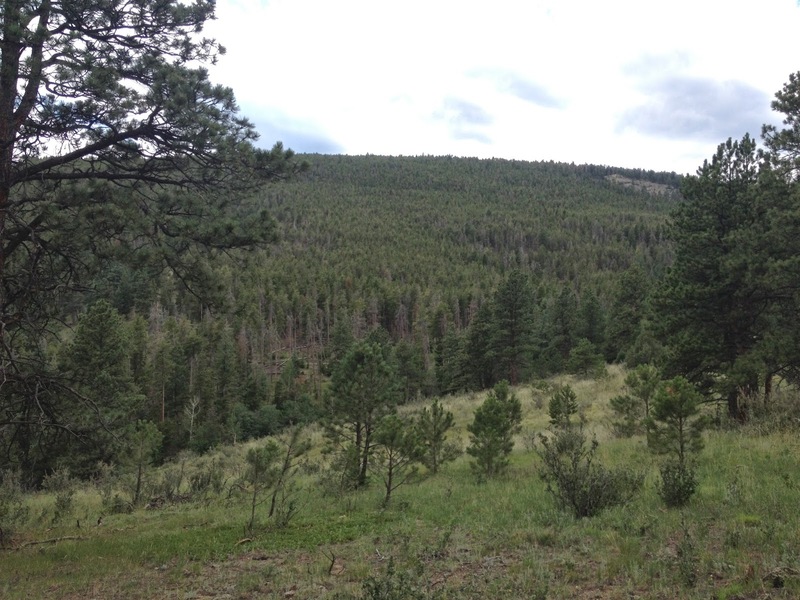 Make a right onto the Ranch View trail which will lead you back to the East Evergreen Trail and the parking area. 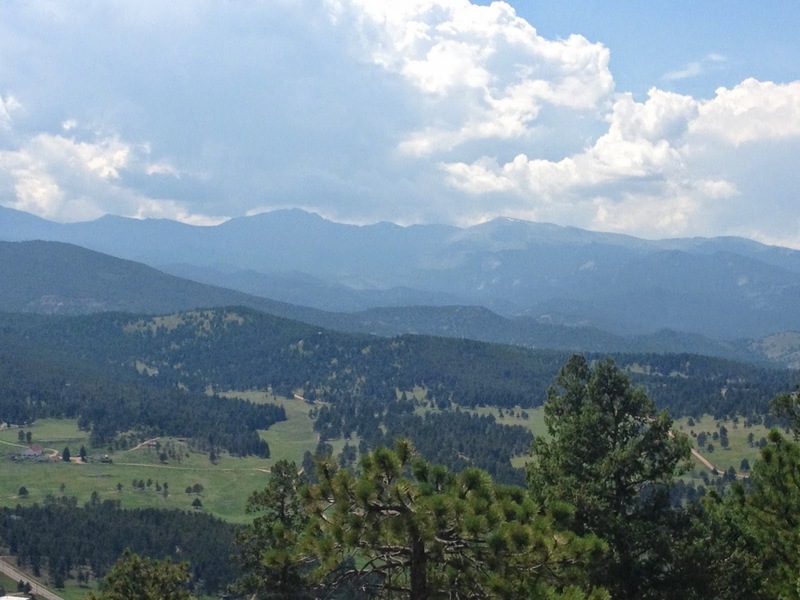 Evergreen Mountain is a wonderful peak to bag in the front range foothills, not as many people hike this trail as they do in the main part of the park and the views can't be beat.